Ready, aim, fire! 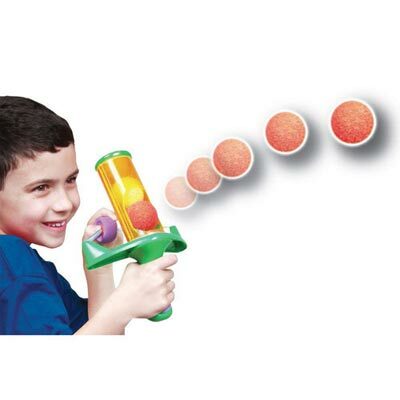 Mini foam slingshot uses pull back, rapid fire action to launch coloured foam balls. Super fun, super safe! Ages 6 and up. Set includes slingshot and three balls. 5"l.